We offer consulting services to help your employees maximize satisfaction and optimize performance. Stress is the most common type of problem faced by companies. Stress impacts performance, productivity, health and the well being of individuals. Dr. Rose works with NASA in this area, and is an expert in training individuals to manage stress effectively and build resilience so that they can perform their jobs better and are more satisfied. 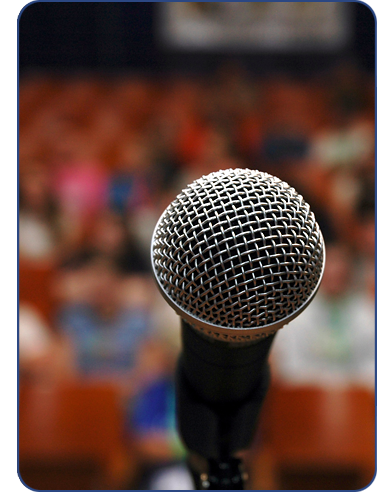 Public speaking/Presentation skills are important ways for companies to increase their reach, attract additional business, and an important skill required for individual growth within a company. We provide proven skills and techniques to help individuals maximize their presentation performance skills. We work collaboratively with you to identify and formulate the type and scope of services offered.